Throughout the morning they will arrive hundreds of visitors who arrived by train from Cusco. These hundreds of visitors become in short time in more than 2,000; it is worth noting, that the City of Machu Picchu offers a maximum of 2,500 spaces per day; to avoid the crush of people it is a good option, the hiking to the Machu Picchu Mountain. What offers the Ticket Machu Picchu + Mountain? This type of ticket gives you, two options at the entry schedule time. Being the first 07:00 to 8:00 hrs. ; the second from 09:00 to 10:00 hrs. This type of ticket gives you, two options at the entry schedule time. Being the first 07:00 to 8:00 hrs. ; the second from 09:00 to 10:00 hrs. Both groups are limited to 400 people per group. If you buy the Ticket Machu Picchu + Mountain, this will allow you to visit the Mountain Machu Picchu, plus admission to the Inca City of Machu Picchu. The Ticket Machu Picchu + Mountain as the ticket to Huayna Picchu are not sold as separate entrances, are sold only combined ticket that is Ticket Machu Picchu + Mountain and Ticket Machu Picchu + Huayna Picchu. How far in advance buy the Ticket Machu Picchu + Mountain? The Tickets Machu Picchu + Mountain, have to be purchased weeks in advance, but sometimes you have to book with far longer; especially in the months, that are greater influx of visitors, who are usually between the months of May to September. So take precautions and do not miss the opportunity to visit this ancient mountain. Remember to bring your personal documents either passport, identity document, Student ID Card; document with which bought the Ticket Machu Picchu, as it will be contrasted with your entry ticket on the entrance control of the Inca City. 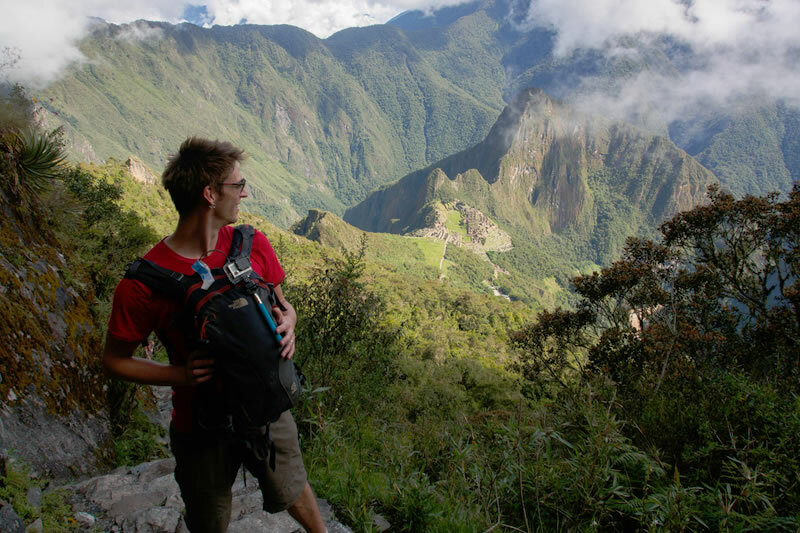 Be sure to check availability for Ticket Machu Picchu + Mountain. What you will find on the tour? Over 1600 steps. On a tour of one hour and a half. Through stairs with uneven steps. Inclined sections, towering stairs, other very low some as narrow as half a foot, while others are two feet deep. Its route will be through dense vegetation, adorned by lush ornamental flowers such as orchids and accompanied fauna between beautiful birds and colorful butterflies and others. What do you get when you reach the top of the Mountain? A privileged view of 360 ° of the Inca City of Machu Picchu, the postal classic of Machu Picchu as background for your best photo. However, you do not have to climb all the way to get beautiful views; after about twenty minutes of ascent, you will have a view by on that is worth all the effort, usually a good option, for those who do not have the strength or energy sufficient to complete the full tour. What rules should continue to climb Machu Picchu Mountain? Provide the information required by the authorities and official institutions. Use the facilities properly to avoid possible damage. Follow the signs and marked trails, since the search path on their own could have serious consequences. It is forbidden to make bonfires. It is strictly forbidden to remove, predator or buy any variety of flora of the Historic Sanctuary of Machu Picchu. Is strictly prohibited the capture, hunt or buy any wild animal of the sanctuary. Behave in an orderly manner so as not to disturb other hikers.